What a wonderful way to start the new year. I have a fantastic interview with children's book illustrator Becka Moor - I have a lot of respect for our unsung hero of the children's illustration world. It's always amazing when an illustrator finds time out of their busy schedule to answer some questions regarding their profession, so thank you very muchly. This is a particularly good post as the questions bring out the personality of the illustrator and give's us a brilliant insight into her typical working week. I was taking a course in Graphic Design and found myself doodling characters on scraps of paper and in sketchbooks any chance I got. I realised that I wanted to give these characters a story, a setting, a format for them to explore. I wasn’t very good but I was passionate about it and decided to go to University and study ‘Illustration for Children’s Publishing.’ I signed with an agent just before I graduated which was very exciting, and the rest as' they say, is history! Do you think an illustrator needs a style? It depends on what sort of illustration career you want, I think. If you want to have an impact on the market in your own way then your style is your biggest asset. Better to have one style that is unique and that you’ve honed and nurtured and are known for, especially if you’re an illustrator working in publishing. It’s a very tough industry to get into with a lot of competition, so you want to stand out. But it’s each to their own! What is your favourite medium to draw/paint with? I work purely digitally on a Wacom Cintiq which helps to bridge that gap between traditional and digital artwork. I try to retain a sense of traditional media as much as possible by using textured brushes and am working on adapting my style to reflect that even more as I go. I do still love sitting with my coloured pencils and doodling in a sketchbook, though. Describe your typical working week? I’m an early riser so I get up around 6.30-7am, go for a walk, attempt to make myself look presentable, have breakfast, hop in my car and drive to work. I decided in late 2016 that I’d had enough of working from home on my own so now rent a desk in a co-working office full of other creatives. Once I get to work, I undertake the most important task of the day which is to make a brew. I aim to be sat at my desk by 9am at the latest, switch on my computer, check emails, have a natter and then get stuck into work. I typically spend a couple of hours on one project and then maybe switch to something else to break things up. I take lunch at 12ish depending on how busy I am. I sometimes go for another walk just to clear away the cobwebs and escape my desk for half an hour. We have a little ‘break out’ area in the corner of the office where we hangout and eat. I usually sit there looking at my own homemade lunch whilst yearning after somebody else’s who bought something tasty from the shop. The afternoon is spent cracking on with more work until I get to the point where I need a break/change of scenery. Sometimes I just need a time out and to carry on again once I get home where I can mutter to myself and pace without judgement. I try my best to keep ‘office hours’ but inspiration comes and goes as it pleases. Rinse and repeat Monday to Friday. Of course! I have just finished a picture book called ‘Sir Boris and the Tall Tales Princess’ written by Marc Starbuck and publishing with Egmont very soon. It’s all about a brave knight and a badly-behaved princess who causes a lot of mayhem and mischief that our poor hero has to deal with! 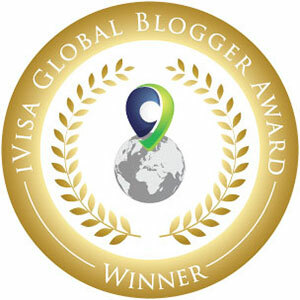 I am currently working on a handful of fiction projects, the last in the ‘Violet’ series which is very bitter-sweet, also the last in the ‘Goodly and Grave’ series and getting ready to start the fourth ‘St Grizzles’ book. 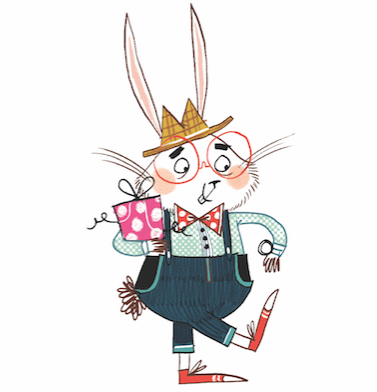 I’ve also just started work on a new picture book and have a non-fiction brief popping into my inbox any day, so I’m fairly busy! What helps you be more creative? Reading as much as possible, going for a walk, working with other creative folk, listening to loud music, looking at how other people create. Being curled up on the sofa with a cup of coffee and a sketchbook. Having re-runs of cheesy tv series on in the background. Watching cartoons. What kind of illustration projects are you most interested in? Anything that I can relate to and feel passionate about. I really love detail and researching different time periods, so I always get a little flutter when something comes up where I get the chance to do that. If I don’t like it and don’t feel I can do it justice, I will pass on it. I’m more known for my fiction work and that is my comfort zone, however, it’s always a lot of fun when a picture book brief hits the desk as I see it as both a challenge and as an opportunity to think differently which can be exciting. What would you consider to be a good design or illustration? Could you give us an example? This is such a tough question! There are so many examples of great design out there, but I thought I’d stick to what I know – book covers. 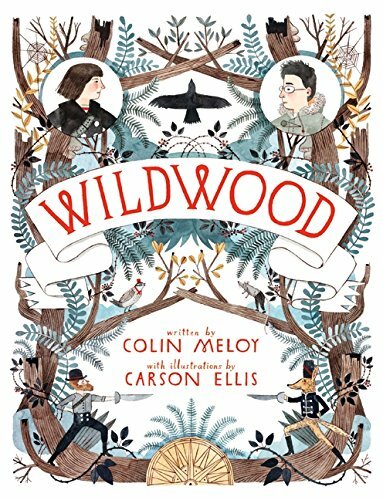 I love, love, love this cover for ‘Wildwood’ written by Colin Meloy and illustrated by Carson Ellis. The balance is perfect. The typography is gorgeous. The details are just stunning. I can’t say enough great things about it. I remember seeing it on a shelf when it first published and I took it straight to the till and bought it. I didn’t know what it was about at that point, but the cover and the design sold it to me. What is a favourite piece of work that you have produced? Sara Fanelli. She’s quirky, bold, fun and has been a huge inspiration to me. 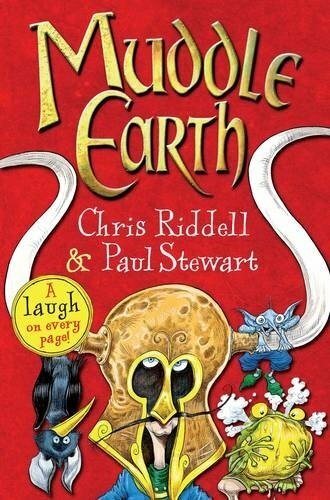 Chris Riddell is a firm favourite. I first read one of his books (Muddle Earth) when I was a child and decided then that I wanted to do what he did. I just didn’t know it was a possibility! Shane Prigmore. His character designs are amazing. The late, great Jill Barklem has been a huge inspiration as well. Her attention to detail is outstanding and many hours have been spent getting lost in her beautiful illustrations.